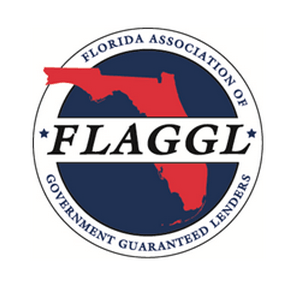 This year’s fourth annual FLAGGL conference will be held September 16th-18th, 2015 at the Gaylord Palms Resort in Kissimmee, Florida. Capital Access: Top brass from the SBA will discuss the Agency’s latest regulatory environment, policy updates and other hot issues impacting the 504 and 7(a) programs – updates you need to know. The Administration: Hear from Cassius Butts, Regional Administrator appointed by President Obama in 2011 along with his colleagues from the Florida Districts report on the current state of SBA in the State of FL. SBA Hot Buttons: Hear from the CEOs of NAGGL and NADCO about how these industry watchdogs are working to keep both SBA lenders and borrowers from getting burned. Executives Roundtable: Leading experts from the SBA lending world will provide an in-depth conversation about their business challenges, their approaches to resolving these challenges and the results they have achieved. Gainful Referrals and the SBDC’s Strategic Plan: The State Director for the Florida Small Business Development Center (SBDC) Network will explain recent changes to the SBDC’s strategic plan and how lenders can take advantage of profitable referrals as a result. Navigating Franchise and Eligibility Issues: Will the SBA approve a 7 Eleven franchise? What about a Subway franchise? Learn the latest on getting franchise deals approved and which ones to avoid. 504 Green Loan Policy: Experts will reveal how your clients can go green to get more green and the secret to financing multiple 504 projects. Secondary Market Opportunities: Learn about selling in today’s secondary market and what the future holds for this lucrative income source. Loan Originations: Identifying and structuring deals, interpreting the SOP, answering screen outs and more. Loan Underwriting and Credit Quality: Understanding how the SBA looks at cash flow and the latest underwriting guidelines in today’s credit environment. Closing Attorney Panel: Efficiently closing 504 and 7(a) loans and successfully funding debentures. Servicing and Liquidations: What happens when a loan defaults and what to do.